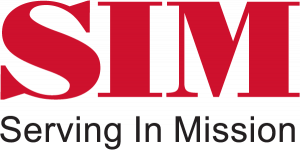 Whether that may be the lives of people being partnered with, the lives that are changed through SIM projects, or the lives of the mission workers themselves, my focus as a videographer with SIM is to share these stories of changed lives for others to see. Videos have a way to connect people today in an engaging and effective manner. They enable you to share a message from thousands of kilometres away. They provide insight in a way that an hour of talking sometimes cannot. They are, quite simply, a bridge to another part of the world. This is my calling. With over 4000 mission workers in 70 countries, there’s a great need for stories to be told of the work being done on the field. But with only a tiny handful of workers in this ministry, there’s an abundance of work still to be done. Will you prayerfully consider partnering in this much-needed ministry? Will you walk alongside to share God’s message of changed lives?